It’s light. It’s under 4 pounds, and considering the 2 doors and 2 vestibules, that’s pretty slick. 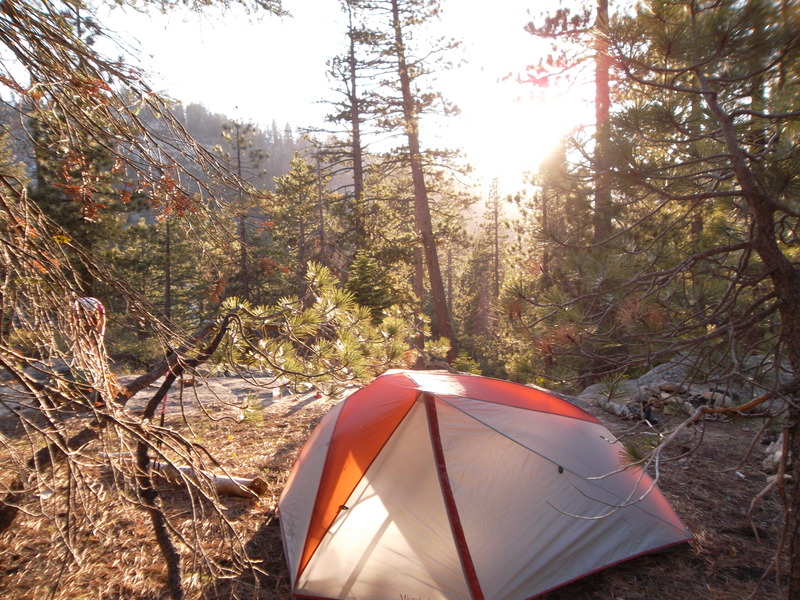 It packs up like a pro, and it stays out of the way with the included tent sack. The price. $199 for a lightweight backpacking tent, I’m not complaining . 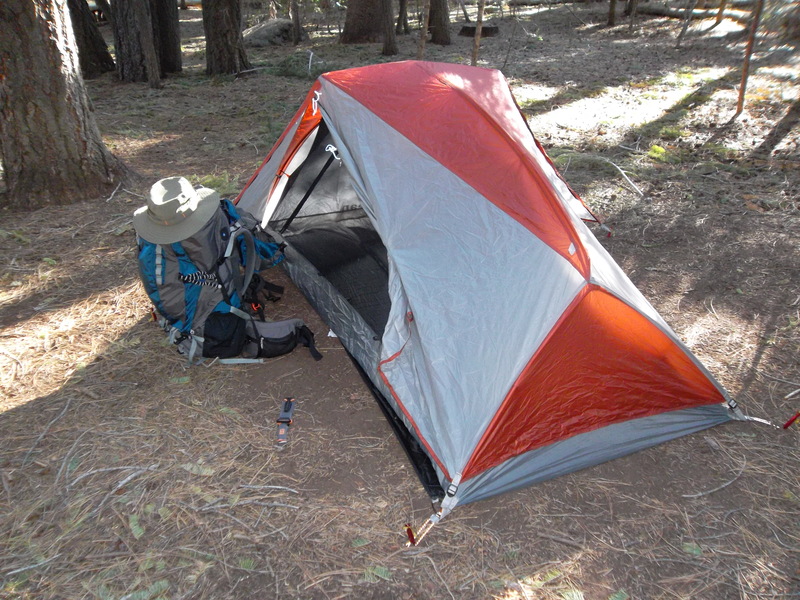 Similarly weighted, dependable tents can easily run over 300 dollars. Easy setup. It’s a freestanding tent that snaps together quickly, and painlessly. It’s Reliable. I’ve taken this thing all over the place, and it’s held up great. It doesn’t give away in the wind, and the waterproofing is top shelf. Well designed. The tent pitches nice and tight, with a nice deal of room for a lightweight tent. The horizontal pole adds extra headroom, and the dual vestibules add just enough room for gear and boots outside the tent. 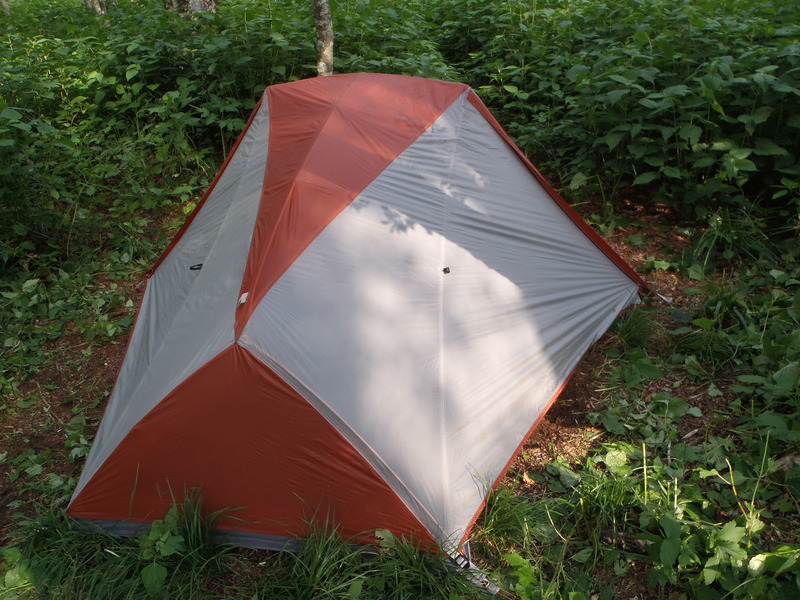 The tent also mostly resisted condensation, which is a big deal in moist environments (Tennessee). The tent stakes out tight offering plenty of ventilation. Not color coded. The tent poles, tent, and rainfly are not color coded. It’s a minor quibble, but it does require some analyzing before you pop the tent up. Cheap included tent stakes. This seems to be the industry standard these days, but it’s a drawback. I have a thing about those thing, round aluminum tent stakes everyone is including these days. I wouldn’t rely on the tent stakes included personally, but they will get the job done if you have to. Upgrade your stakes, but I say this with most tents. Pet peeve perhaps. Minimum livable space. This is as small as you can get and have a comfortable night sleep, and that’s part of the idea so I can’t really knock off points here, but it is to be pointed out. . It’s light and small. You’ll be close to your companion, so keep that in mind. Although there is plenty of room to sit up completely, and move around a bit, it’s bare minimum. Luckily the vestibules provide just enough space to keep your gear out of the way. No Gear loft. Pet peeve here, no gear loft. None. Although there are two small(tiny) pockets, there is nowhere up top to store the little things. Overall, I really like this tent. Despite a few minor complaints, this tent earns all it’s stars in all the right places. It’s light, cheap, reliable, and has just enough room for everything I need. It packs small and easily, and it looks great. Come on, no one wants an ugly tent. I’ve been using this tent since it hit the market, and it’s not disappointed me yet. There were a few minor quibbles such as no gear loft, and no color coding on the poles, but honestly those aren’t things that you need, nor are they things that should prevent you from enjoying the tent. It’s light, durable, and best of all it’s affordable. I’ve used it from West Coast to East coast, and it’s not let me down yet. It holds up great under all of the conditions that I’ve thrown at it. For the price, you can’t beat it. Here is a question for you, seeing as you have both I’m curious of your answer. 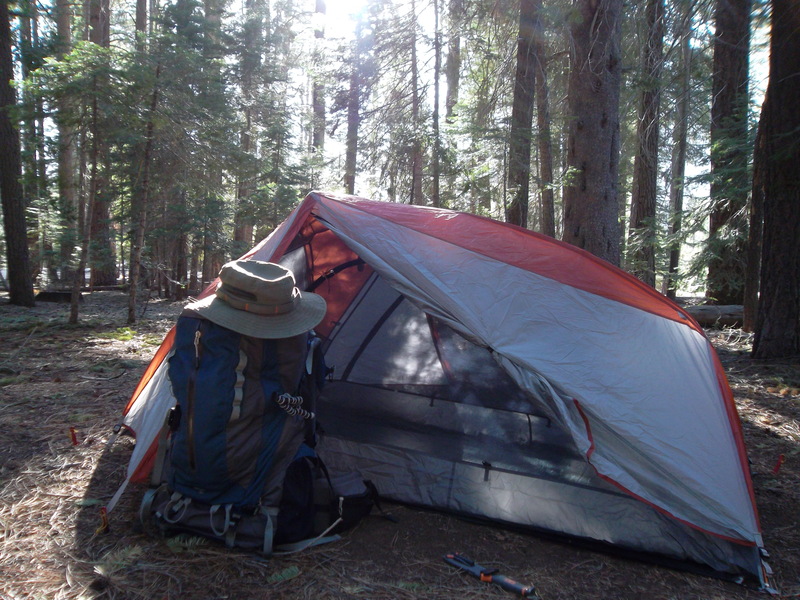 I’m torn between two tents, basically the rei half dome and the microlight fs2. I love the half dome design, they nailed it on the head and I have zero complaints about the tent itself…except it is heavy and it doesn’t pack well. On the other hand the microlight fs2 is missing a few items, the doors fold towards the bottom (this doesn’t make sense to me, as its easier for them to be damaged) but it’s a solid tent. Which would you recommend for a recreational backpacker? Ah, I see you torment. I personally, like the Microlite. It’s lighter, just enough room, and I actually grew to love the down folding doors. I never had any issues with them, and they make it much easier to get in and out actually. The only downfall really, is the lack of vents around the tent. So you may have a little more condensation to deal with. However, if you’re not concerned with weight at all, I’d stick with the REI half dome, but that’s a hefty one. I’d rather have the weight savings. I wonder why they choose to leave out any fly vents. Doesn’t seem like a high cost item that serves a pretty big benefit. Any other tent choices you’d recommend other than those two? That is a good question. In most areas, it’s not a huge deal, but if you’re in a humid area it makes a difference. For the price? It’s hard to beat…just open up the second zipper on the door to vent it. However, if you wanted to spend more a bit more…the Copper Spur From Big Agnes is superb.